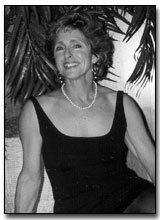 During the late 1960's through the mid-70's, Debbie Lipman was one of America's outstanding springboard and platform divers. Her many honors include first place in the United States National Springboard Championships, and titles in many international meets in both springboard and platform events. In 1965, at age 14, Debbie won her first gold medal in international competition, capturing the 10-Meter Plat-form championship at the 7th World Mac-cabiah Games. She repeated that victory in two subsequent Maccabiot--1969 and 1973. Teammates honored her in 1973 by naming her opening ceremonies flagbearer. Debbie coaches the McCormick Divers in Long Beach, developing international age group teams. She and her late husband Glen McCormick have been team managers for United States National diving teams that have competed in Russia, East Germany, and many other countries.